Most people associate spring cleaning with clearing out the attic or organizing the closet, but the same energy can be applied to the workplace! Spring is an excellent opportunity to evaluate your facility and organize for efficiency. Focus on getting rid of items cluttering the workplace and making an environment that allows for more productive work. 5s: One of the best ways to tackle an organization project is with 5S. This Japanese methodology focuses on cleanliness, visual management, creating value, and eliminating waste. 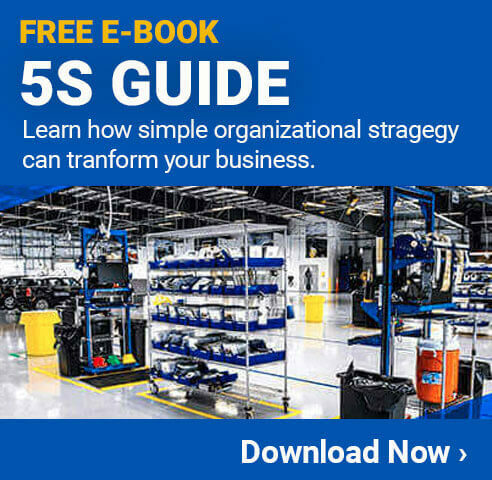 5S is made up of five phases beginning with sort and going through setting the space in order, shining the space, standardizing the improvements, and sustaining your efforts. Tool organization: If tools are kept in drawers, they can become disorganized fast. One way to combat that is by using customizable tool foam as inserts, cutting out spaces for the tools. Another option for tool organization is a pegboard and vinyl shadow board tape. Simply cut the roll of vinyl in the shape of the tools and designate spots for them on the pegboard. Not only will people be able to find tools quickly, it is easy to spot when one is missing. Maintenance: You should also focus on maintenance when cleaning your facility. Preventative maintenance is important for keeping equipment in working order and reduces the chance of malfunction or unexpected breakdown. You may find machines leaking oil on the floor or a disrupted workflow that could be remedied with a bit of maintenance. Consider creating a maintenance schedule for operators to follow. Keeping machines clean and serviced is important for keeping a facility productive and efficient. Labels: Labeling can be a particularly effective tool for organization. Use labels of all sizes to denote where tools must be returned, where materials are stored, and where inventory is held. For larger items, adhesive signs can be placed on the floor to communicate where items like utility carts or recycling bins go. Visual communication will take the guesswork out of organization and ensure the space is kept in an orderly fashion. 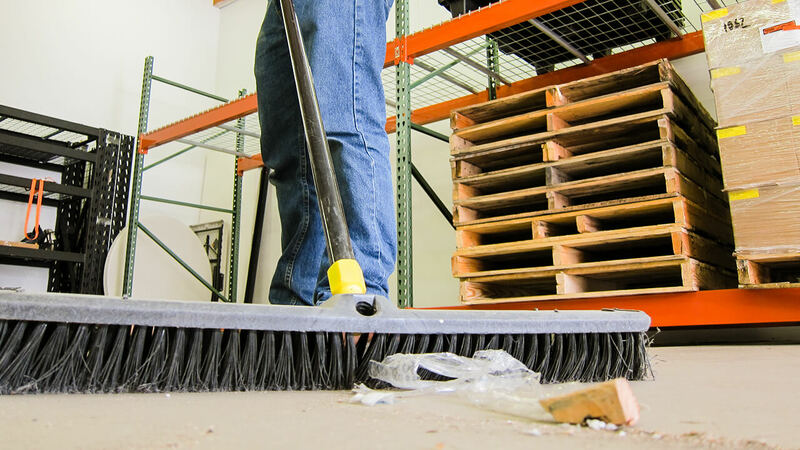 Schedule it: If you’re wanting to organize or clean your facility, it is important to set aside the time for it! Schedule your 5S efforts or tool organization in the work day. Involve everyone: Involving operators, managers, assembly line workers, and employees from all levels and departments, you can ensure standards are followed moving forward. Additionally, you may find workers take more responsibility for the space they’re working in. Sustain: Don’t let all your efforts go to waste! Set up work boards to help workers keep track of cleaning or maintenance tags and update them to provide clear instructions on what everyone should be doing.